Do you want to use storytelling in your social media marketing? Building your social media campaigns around stories helps you stand out from other brands, and grab the attention of consumers. 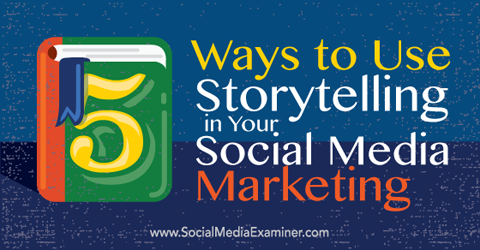 In this article you’ll discover five ways to use storytelling in your social media marketing. Discover five ways to use storytelling in your social media marketing. Use a proven structure to keep social media viewers engaged in your story. Image: Shutterstock. In 2014 Jaguar launched a high-suspense campaign with David Beckham in China, targeting local social networks WeChat and Weibo. Before revealing Beckham as the brand ambassador, the campaign asked consumers to guess Mr. Jaguar’s identity. Jaguar released street interviews and videos to build suspense. They also dropped hints throughout the campaign to get consumer traction. The exercise was highly successful and drew 50,000 reposts when it started. An additional 30,000 reposts came in after David Beckham was introduced as the ambassador. 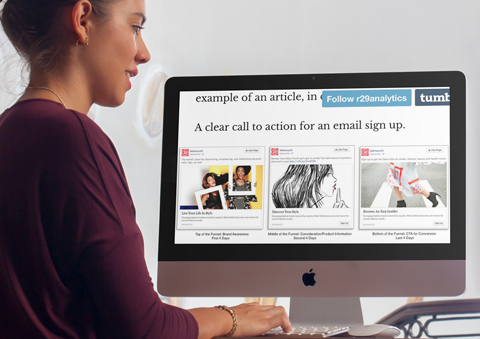 Use message sequencing in your ads to lead customers through a funnel. Image: Placeit. Deliver sequenced Facebook ads that combine quality content with a strong call to create a social media-led storytelling campaign like this one. This approach is effective because it allows you to sharpen your brand identity, creating strong competitive differentiation and higher price flexibility. This, in turn, has a direct impact on your bottom line. In 2014 Daimler’s smart division launched a campaign for the FOR lifestyle brand. As Daimler explains, “‘FOR’ stands for a constructive, positive and optimistic outlook that can change the world.” The company set up a special portal to aggregate social content for the #WhatAreYouFOR campaign hashtag. Another component was an offline campaign centered on pedestrian safety. A key element was the Dancing Traffic Light Manikin, which entertained and asked customers, “What are you for?” This approach helped solidify smart’s positioning as a consumer lifestyle choice: a green city car that cares about the world. The customer experience was the central pull for smart’s campaign. This was in stark contrast to the pre-2013 online positioning of smart cars that talked more about product features than value. The FOR brand campaign also clearly differentiated smart cars from Daimler’s performance-oriented cars. For brands, it’s important to recognize this and use the power of extension to help your audience feel more connected. Many small businesses operate in geographic niches and don’t have the power of a McDonald’s or a Hugo Boss to create large marketing campaigns. But businesses of any size can create content around local events. 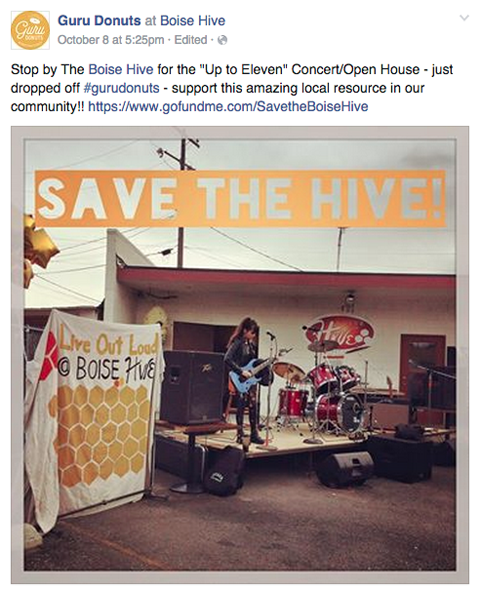 In the Facebook post below, a donut shop shares the story of a local organization’s fund-raising efforts. Create stories that appeal to local consumers. People take pride in where they’re from and support local businesses on social media and in the real world. In addition, local customers are more likely to convert and impact your sales. 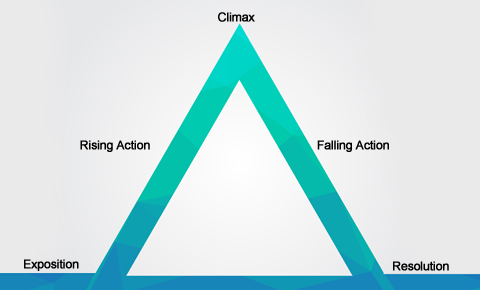 To use the S-C-R framework in your storytelling, begin by sharing the situation (current). Next, identify the complication in the market. And finally share the resolution that only your brand provides. And remember, a little humor can’t hurt either. Social media and technology allow us to document our lives at an astounding pace. From two scrapbooked childhood photo albums to several gigabytes of photographic memories spread across Instagram and Facebook, we’ve come a long way. As consumers, we’re sharing and creating many new stories every day. As a business, you may be wondering how you can stand out from the crowd. How do you create content that garners more visibility than the mommy blogger on Pinterest or the new kid viral sensation on YouTube? There are tons of great examples of storytelling techniques that can inspire your next social media campaign. The keys to successful storytelling are to choose a coherent message for your audience, select the right platform as your central storytelling hub and be authentic. What do you think? 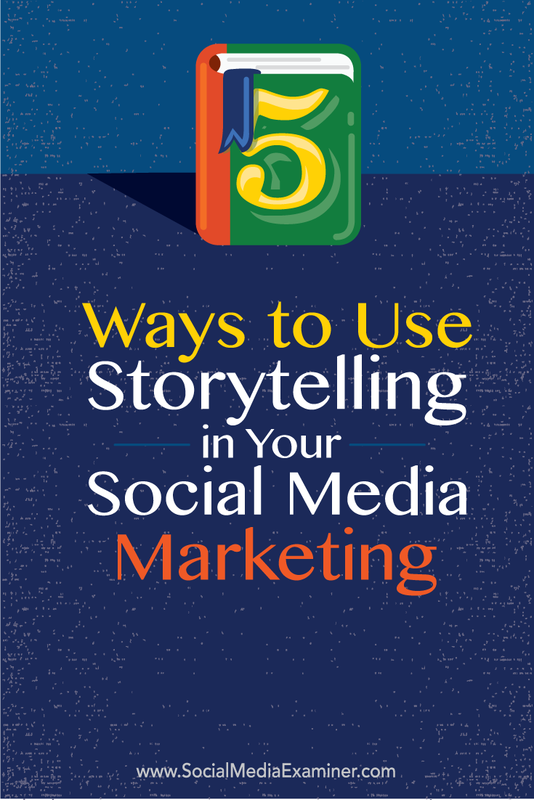 Do you use storytelling in your social media marketing? What social storytelling has inspired you? Please share your thoughts in the comments below. Refinery29 sequenced ad image from Placeit. Tips for using storytelling in your social media marketing. Upasna Kakroo, co-founder of Brandanew, helps brands create compelling stories and content marketing strategies. She has 12+ years of global experience with online content and branding.